The tension raged and I felt as if the pressure being pushed up the back of my head could cause some sort of brain injury or aneurysm. I stayed with it. This being was Alien like, not unlike the film alien, but not exact. It screeched and moved in its own erratic fashion. I allowed it to just be. I witnessed my reflection, my shadow, God consciousness. Then suddenly the energy shifted and became a being much larger than my physical body, bloated, balloon like, rounded. My body could no longer contain it. It quickly worked its way up my chest as my body began to prepare to expel it. I began to purge. Coughing and almost vomiting. As I coughed it up, I was aware it immediately darted back into my mouth, reattaching to my being, I felt fine with this. This energy, this entity is me, I am it, there is no separation. If it reattaches then there is further work, until there is not. I coughed it up a few times and don’t remember what happened after that. Then I heard a voice, in stillness. 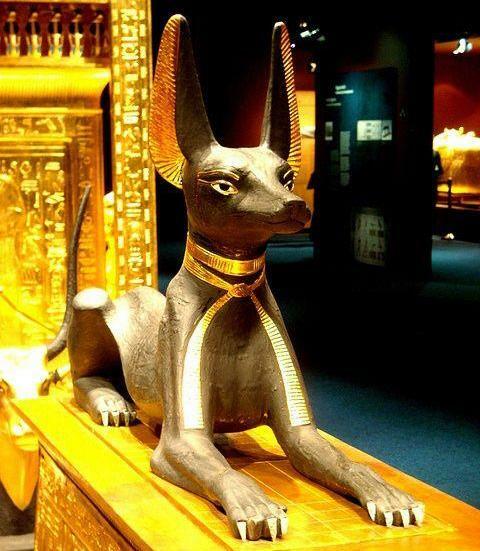 It was a talking dog, Anubis, the Egyptian god. Anubis is the protector to the gates to the underworld. I have been working these days on preparing to return to the underworld in the coming weeks, to surrender more pieces of my worn out self, in the hope of gaining more freedom. The following just came to mind, my higher self presented these two gifts, my conscious mind played no role. The company of women I have always loved, from friendship to lovers, always seeking to explore deeper intimacy, to push myself to be free enough to be seen by them, and in turn to see them, to love and be loved, to play and explore. I love the Goddess. I surrendered this desire, as if it would no longer be a part of me, and felt empty, alone, but okay. My need to argue, battle, debate, to be right, flashed through my mind, my need at times to have answers. In silence I wondered who I might be. To say nothing, to have nothing to add. I let this go too. I felt empty. “All of me, whatever I think I am.” I told Anubis. He asked a fourth question, which I can’t remember, but I responded “That’s a fourth question”, considering he had said earlier he had only three questions. He gave a playful response which I forget too, but I knew there was love and play in this work. “Remember this for the coming days” said Anubis. Meaning my emptiness, my surrender, to see where it takes me. Then I returned to the present.